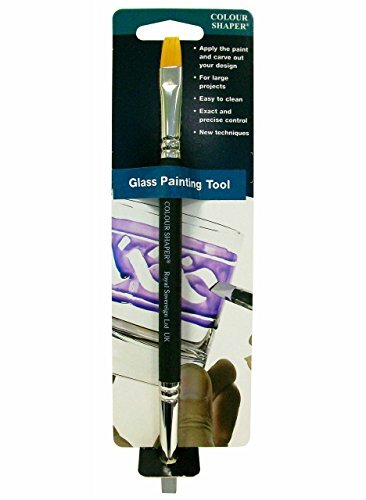 A great tool for glass painting - apply paint with the brush end and carve out designs with the silicone point. The flat design of both tools are great for larger glass work. The brush is a high-quality synthetic and the shaping end is durable and easy to keep clean. made in the UK.